Ko Phi Phi is a small archipelago in the Krabi Province in Southern Thailand. Ko Phi Phi Don is the largest island of the group, and is the only island with permanent inhabitants while the smaller Ko Phi Phi Leh is very popular as a beach or dive excursion. Tourism on Ko Phi Phi has exploded only very recently, especially after Ko Phi Phi Leh was used as a location for the 2000 movie The Beach. 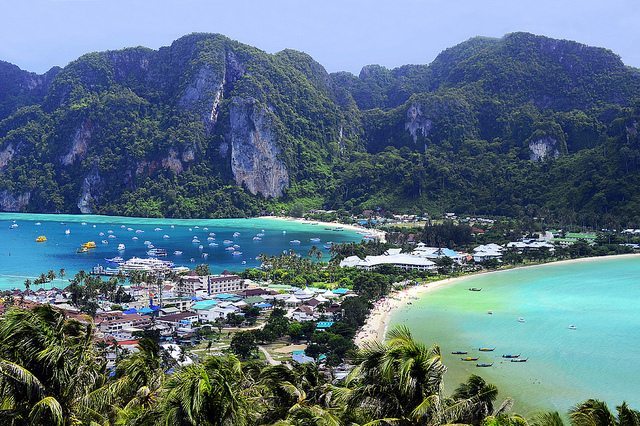 As a result of the masses of tourists Ko Phi Phi is becoming less and less attractive but for now it is still a very beautiful place to visit.